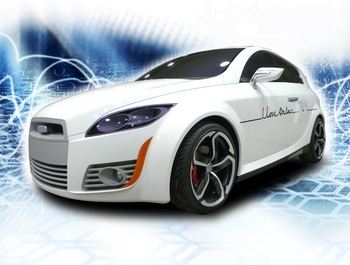 Turin-based Autostudi presented the world preview of restyling of its C-Sport concept in Qatar. The C-Sport seeks to be an innovative sports car of the highest level with clean sinuous lines, projecting itself as a luxury toy-car. The first international edition of the Qatar Motor Show (January 26-29) has proved to be an important showcase for eight niche Italian car companies which exhibited an array of diverse creations in a 'collective' promoted in collaboration with the Gruppo Carrozzieri Autovetture (Car Coachbuilders), a part of the Italian Association of the Automotive Industry, ANFIA (Associazione Nazionale Fra Industrie Automobilistiche). 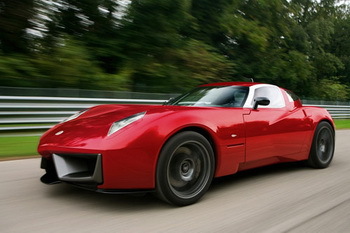 At the Qatar Motor Show, the company presented its dramatic Corvette-based Spada TS Codatronca, a product which rejects the exasperated search for performance records at all costs. 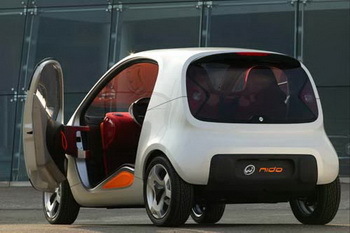 In Qatar Pininfarina presented the Nido, easily the most recognisable of the clutch of stylish concepts on show, a project which the legendary design house rethought the methodology of the car design process. In Qatar, Salt showcased the RK Coupè, a project that combined the preparation of a RUF engine on a Cayman base. The RK Coupè is an example of the customisation that Salt can create for its customers, both with the bodywork and the interiors where Salt expresses the best in the precision and refinement of every detail. The Fioravanti F100r is an open roadster, conceived with the aim of creating an open car with the maximum comfort thanks to an innovative multi-sphere widescreen designed aerodynamically to generate air flows which protects the passengers' heads by being reattached at the rear. Bertone, founded in 1912, one of the oldest and most prestigious Italian firms in the car sector, presented its Pandion, a futuristic coupè first shown at the Geneva Motor Show last year which was dedicated to the occasion in 2010 of 100 years of Alfa Romeo's history. Prototipo Group was the final Italian company present at the Qatar Motor Show; it didn't show a vehicle though, rather it detailed the Nardò Technical Center, one of the most complete and active proving grounds and experimentation centres in the sphere of automobile testing. For the very first time for the Middle East, Touring Superleggera introduced its Bentley Continental Flying Star, a high-performance shooting brake. This limited edition supercar is custom built on order: nineteen examples at the most will be built, the company says, two are already on the road in Europe. "From our special 500 program we're pleased to showcase here a small, tasteful one-off Fiat 500, part of our worldwide collection known as Beach Tender, called Tender2 by Castagna Milano," says castagna boss Gioacchino Acampora. "The car can feature also hybrid or full electric engine, and, of course any other kind of option as with all of our creations." Organised by Qatar Tourism Authority (QTA) in collaboration with q.media and GL events and sponsored by HE Sheikh Hamad Bin Jassim Bin Jabor Al Thani, Qatar’s Prime Minister and Foreign Minister, the Qatar Motor Show saw many concept cars, super cars, prototypes and special coachbuilt bodies on display for the first time in a country which is one of the most important markets in the world for luxury and sports cars and unique one-offs. Arguably the real stars of the motor show were the cars conceived, designed and built by a group of Italian companies which represent excellence in the sector: Autostudi, Bertone, Castagna, Fioravanti, Pininfarina, Prototipo, Salt, Spada and Touring Superleggera. Carrozzeria Castagna, first established in 1849 and much more recently raised from the ashes, is an automobile atelier that today produces over thirty unique cars per year for customers in many countries across the world. And like in the past, Castagna has an in-house school where it transmits all its knowledge and experience of the past to build a future of excellence. Its proprietor, Gioacchino Acampora, states: "Castagna has been present in the Middle East with its own custom-built cars since 1922. In 1932, His Majesty King Saud Ibn Abdul Aziz Al Saud visited the Castagna stand during the Salone dell’Automobile in Milan and bought two Isotta Fraschini cars with our bodywork. Today this market has customers of great automobile passion and culture, great connoisseurs who not only buy very expensive and powerful cars but, if necessary, create them from square one, realizing their dreams with the help of our atelier. 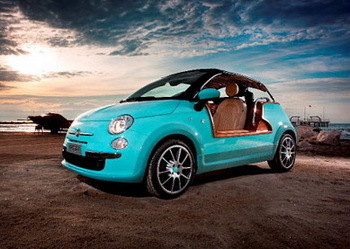 From our special 500 program we're pleased to showcase here a small, tasteful one-off Fiat 500, part of our worldwide collection known as Beach Tender, called Tender2 by Castagna Milano. The car can feature also hybrid or full electric engine, and, of course any other kind of option as with all of our creations." Specialising in car interiors and with a reputation for superior and elegant leather work, Salt has developed its commitment in research and experimentation. 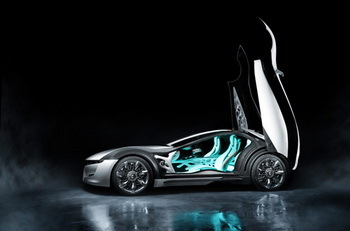 Today it designs and builds prototypes of every kind, and is in the front line in the sector focused on fitting out interiors for luxury cars and aircraft. 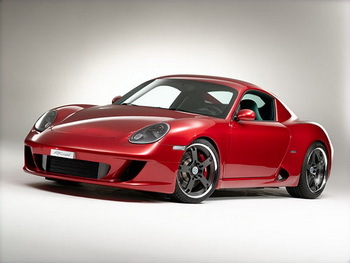 In Qatar, Salt showcased the RK Coupè, a project that combined the preparation of a RUF engine on a Cayman base. The RK Coupè is an example of the customisation that Salt can create for its customers, both with the bodywork and the interiors where Salt expresses the best in the precision and refinement of every detail. Pierfranco Gavina, CEO, declared: "We are certain that in the coming years the Middle East, Chinese and Russian markets will be in rapid development for the car sector and this provides a significant opportunity that Italian car designers must grasp. At the Qatar Motor Show we [presented] our experience which has been matured now for over forty years and enables us to meet all the customization requests which characterize the Middle East market." Spaconcept is a design studio which works in every stage of the resulting process, from the design to the prototyping of cars and motorcycles, to industrial design - including helmets and motorcycles - as well as having a marketing consultancy. At the Qatar Motor Show, the company presented its dramatic Corvette-based Spada TS Codatronca, a product which rejects the exasperated search for performance records at all costs. Instead focusing on increasing power, Spadaconcept has preferred to work to maximise the performance of the already installed power, introducing evolved aerodynamic forms and a light and essential structure, thereby obtaining an extremely stable and manageable car, which is capable of achieving racetrack performance with the maximum exploitation of the engine power of over 630 HP. Paolo Spada, CEO, declares: "The Qatar Motor Show certainly represents a great opportunity for tackling a receptive market as regards niche products and joint investments. A market where craftsmanship, linked with Italian design, attracts a very attentive clientele." Touring Superleggera is another famous historical name to have been recently been brought back from the dead. It was first established in Milan in 1926 and created masterpieces such as the Ferrari 166 and the Aston Martin DB 4/5. For the very first time for the Middle East, Touring Superleggera introduced its Bentley Continental Flying Star, a high-performance shooting brake. This limited edition supercar is custom built on order: nineteen examples at the most will be built, the company says, two are already on the road in Europe. It is built in Milan under the supervision of Bentley Motors for engineering and quality which guarantees sales and support. 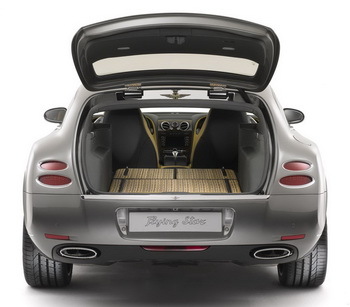 Blending advanced engineering with four thousand hours of highly skilled hand work, the Continental Flying Star features a servo-controlled boot lid, a two meter long versatile luggage compartment and a staggering 560 to 630 PS W12 engine on permanent all-wheel drive. Piero Mancardi, CEO, says: "The Middle East Market is ideal for our products. The public in these countries appreciates the exclusive quality, the value of traditions, the preciousness of the work and the unmistakeable style, all specific values of our marque. In this sense, the encounter between Italian style and the technological perfection of Bentley offers an ideal product." 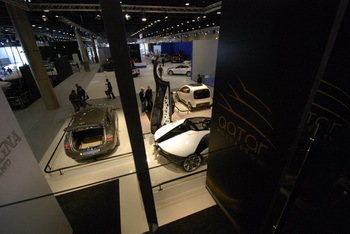 Prototipo Group was the final Italian company present at the Qatar Motor Show; it didn't show a vehicle though, rather it detailed the Nardò Technical Center, one of the most complete and active proving grounds and experimentation centres in the sphere of automobile testing. For all car enthusiasts and high-speed fans, the famous "Nardò ring” is a “temple” frequented by not only the most powerful and fastest supercars, but also by motorcycles and prototypes created specifically to establish new international and world duration records. 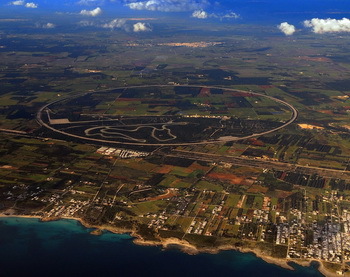 The extraordinary proving ground is located in Southern Italy in the area known as Salento Leccese and is accustomed to hosting technical teams, engineers, and pilots involved in running many kilometres on tracks designed for development tests 24/7 on 363 days a year. Amidst olive trees and just a few hundred metres from the beaches, all types and categories of vehicles on two and four wheels, and even trucks, can travel uninterruptedly on the perfectly circular 12.6 km track, exploiting the incline of the track to speed along as if they were on an infinite straightaway, with no appreciable correction in the steering required up to speeds of 240km/h.